Two years ago we introduced three core values to the business: Passion, Responsibility and Engagement. As part of the Employee Satisfaction Surveys, we again asked employees to nominate their colleagues under each of the core value categories. 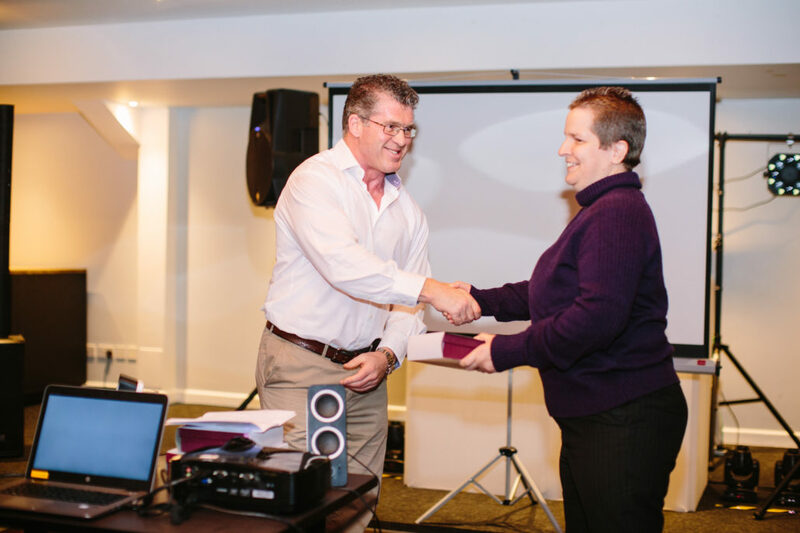 As a result of these nominations, four individuals were selected for exemplifying our core values within the workplace and acknowledged on 24 November at the Staff Christmas party with an award and gift voucher. Simon has been with the business for 11 years, having started as a plant operator. He has worked his way up through the company and most recently, stepped up whilst Felicity Breuning is on maternity leave. In this time, he has overseen the relocation and installation of the new wash plant on site. Simon’s colleagues have praised his managerial skills and described him as being very professional in the way he communicates with both staff, subcontractors, customers and the local community and that he has a lot of respect from the site team. Annmarie has been with the business for two and half years, having supported the sites and grown her team in this time. Annmarie has been described by her colleagues as a hard worker and passionate about about making sure the company works to very high standards. Wayne has worked with the business for seven years and was this year promoted from Plant Fitter to Assistant Site Manager for Fortis. Wayne has been described as always looking for ways to improve both operations and the business. Vanessa stood out across all areas with a remarkable number of nominations. She was also nominated last year and was the winner of the Responsibility Award.